GADGET WORLD BANGLADESH” do business with Direct Factory, so all products quality is 100% best. hotel door lock, hotel door lock, hotel door lock in Bangladesh, hotel door lock in Dhaka, hotel door lock in Bangladesh, hotel door lock Dhaka BD. * Low consume,high sensitive RFID Technology PCB board. * PCB board built-in buzzer and self-detect light. * Mifare 1K S50 card required,100,000 times write life. * Audit trail records the latest 800 lock transactions. 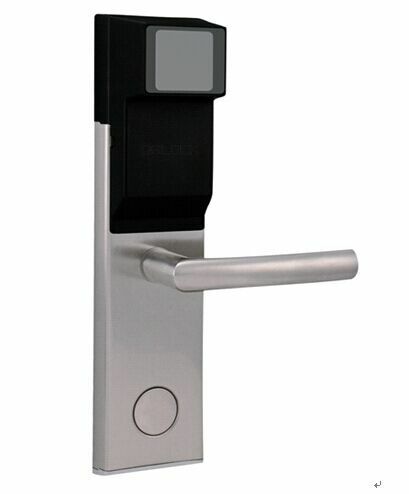 *International standard five latches lock which pass the testing of 300,000 times. *Normal-open state can be set for meeting. *Perfect key card management and clear authority. There are Master Card, Building card,Floor Card, Guest card, Emergency card. Hotel managers can modify the authority of each card according to actual need at any time. 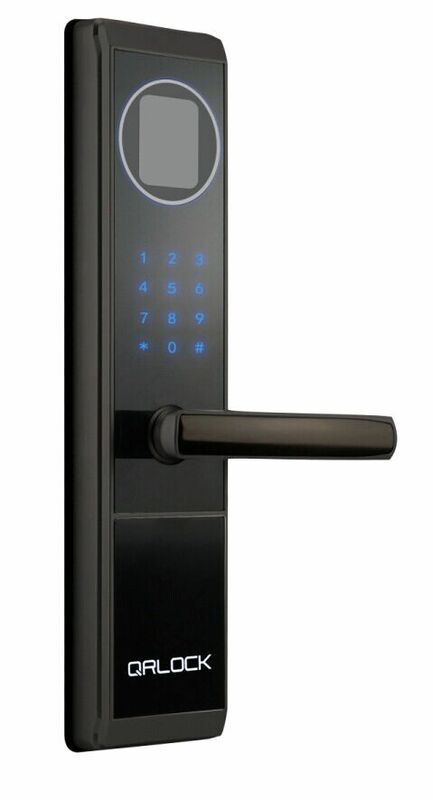 NS-F18 is in control technology introduced a color professional fingerprint access control, clocked at 400MHz 32-bit high-speed CPU, 128M flash 32M RAM memory, which feature elegant European and American design style, design strictly follow the national security product standards, the use of a large number of imported components, are subjected to rigorous aging test, the product is stable and reliable. The product has both TCP / IP and RS485 communication methods to meet a variety of network environments, suitable for a small office environment, internal and other places. 1. A lock can be opened by phone app. 2. A lock can manage its key online. 3. A lock can set key limitation anytime and anywhere. 4. A lock can be remote managed. 5. A lock off-line, but key online. 6. A lock, its keys can be shared via skype, whatsapp, and email. 7. A lock can make all imagination come true. 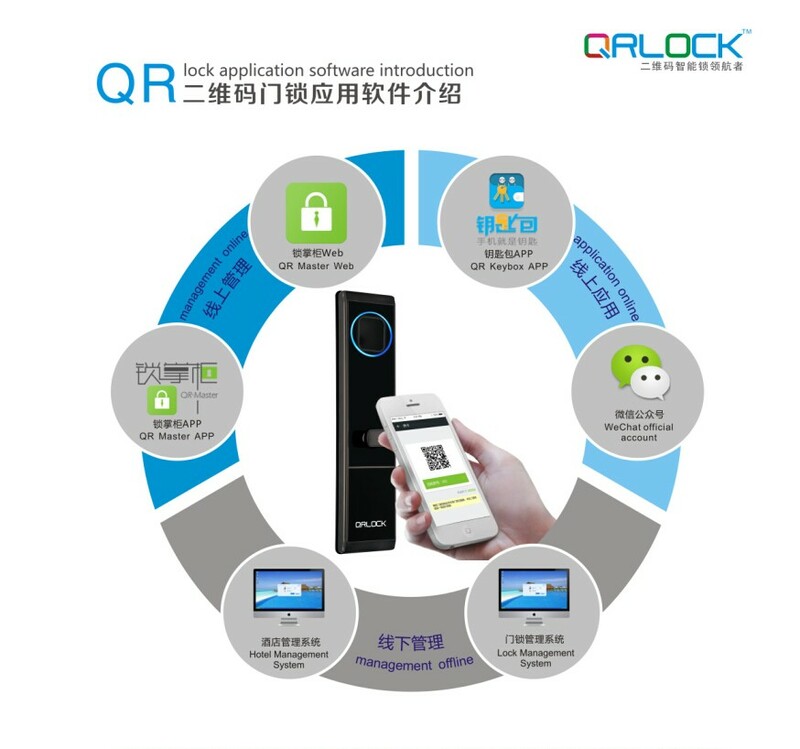 QRLOCK is a new design, and it is the globe first invention in lock industry. 1. We provide hotel solution, office solution, home solution and customizing solutions. 2. The lock is off-line, and the key is online, and you can share your key to somebody to open your lock within the specified time. 3. The QRCODE key will change every 3 minutes, so you do not need to worry about copy and security. 4. Can set time limitation according to your need. Share a key to someone, he can only open lock within your limited time. 5. All these management are remote and online, and do not need network. 6. SDK can use for developing software. 8. Use imported HD CMOS camera, with strong anti-interference ability and highly integrated capability. 6. Easy to be copied mechanical keys by ex-emplyees. 1- The QRCODE key is online, and will changes every three minutes, do not need to worry about being copied. 2- Keys online, can be sent to users directly, do not need to wait. 4- Rent and room view reservation and pay online. 5- Householder even can rent out house by themselves, remote send key online to visitors. 9- QRLOCK do not need network, do not need to connect any electric wire.